I am a creature of habit when it comes to eye makeup. Once I find a little routine I like, I will happily wear it endlessly for weeks until I eventually get bored. My latest combo is from MAC (no surprise there) and features some shades that don’t scream wow! when you look at them. There is Era, which is so gorgeous and so underrated. 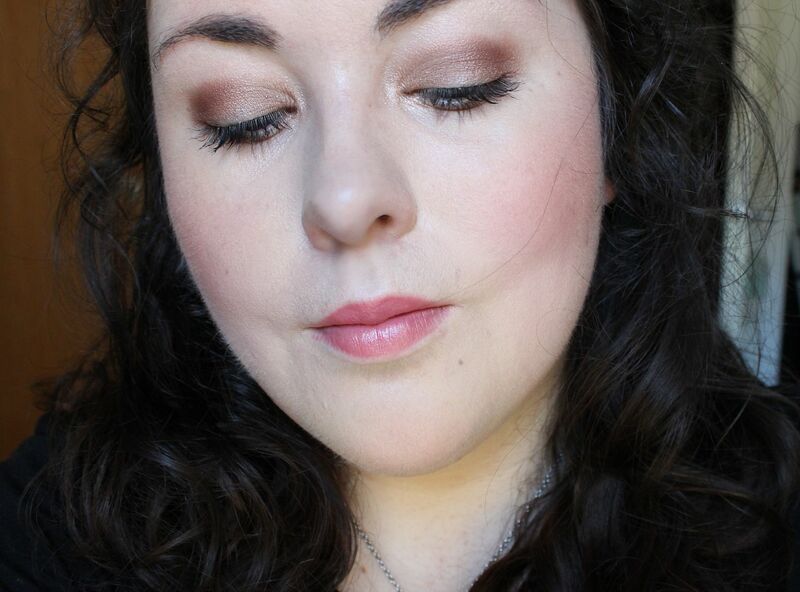 In the pan it looks so boring, but it’s the perfect mix of rosy and taupe, and is just really flattering. I just blend it on with a 217, it’s so easy. If you’re a neutrals lover (who isn’t?) then I think you would love this. There’s something unique about this colour, it has a really nice finish and an interesting colour. Check it out! It would work with any colour really, but I’ve been pairing it with Swiss chocolate, which is a really, really warm toned matte brown. I blend the two together and add some more definition to the crease/outer corner & smudge under my bottom lashes. I timed myself this morning, and it was under 2 minutes, so easy. I wore this on Sunday with a really dark lip and it went well, and then today with Fanfare on the lips for an easy day time look for Uni. 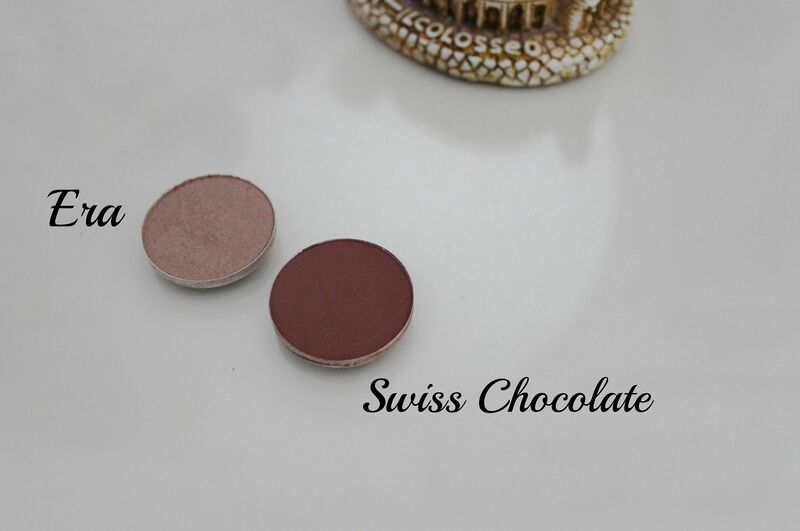 Two eyeshadows – nothing groundbreaking, but two colours that just work together so well. Mmm. What’s your go-to eye look at the moment?